Square Spring Loaded Finger Push 'Click' Basin Waste - Only £8.99! In stock now for just £8.99 including VAT! Hurry while stocks last! This high quality 'Click' style basin square waste is available at an extremely competitive price. This product has a spring loaded finger-push action and is available in Slotted type only. 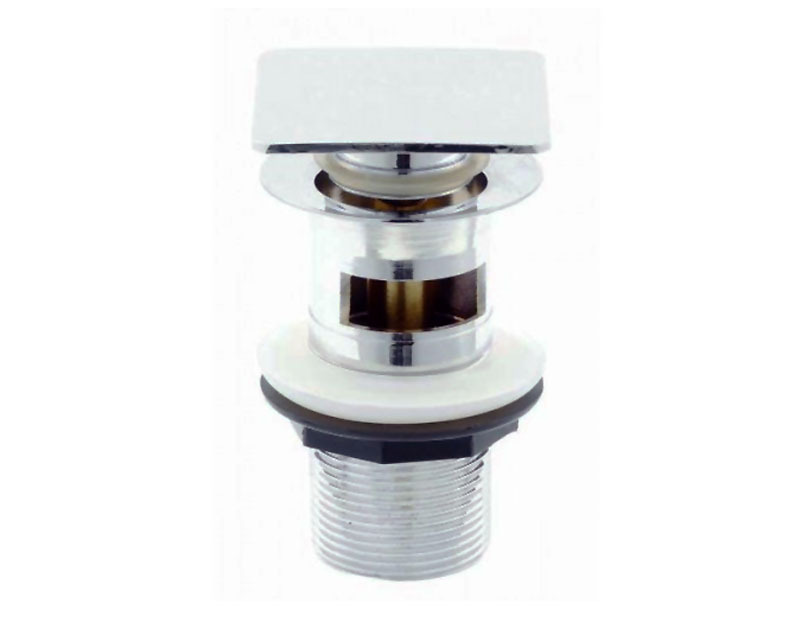 This superb item is compatible with all the basins sold on this website. A new waste is necessary to complete your bathroom upgrade, and can be purchased from VIP Bathrooms at an extremely competitive price. The quality of this product is backed up by an outstanding 20 year guarantee as standard. The quality of our range of basin and bath wastes is guaranteed. This waste is available with a Slotted type only.